Terrain is not your typical wedding location. This place has so much to offer that this room that seems full of "clutter" lead to this beautiful and memorable photograph from our couples wedding day. 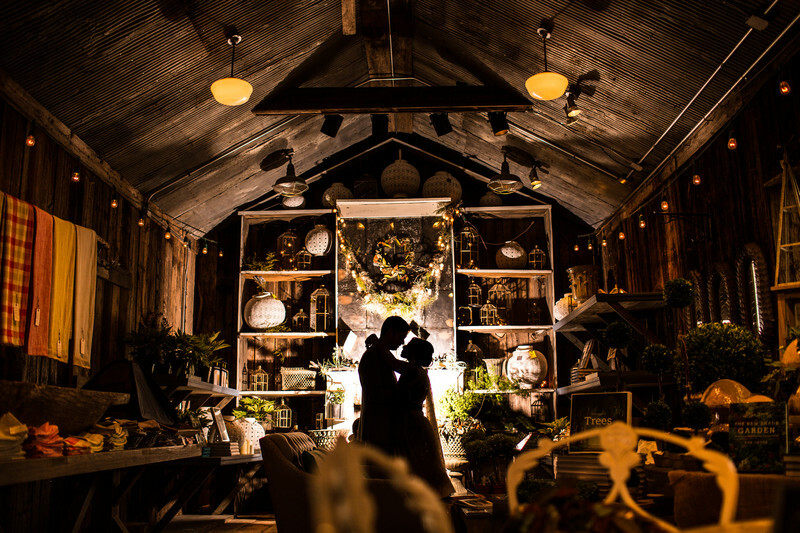 Framed by the lights above, the vaulted ceiling and the shelves behind, our couple posed for a sweet moment all for themselves. Location: 914 Baltimore Pike, Glen Mills, PA 19342.